My Hero Academia: Vigilantes is a spin-off which makes as many pop culture references as its main series, and they have cleared how the latest shout out references Dragon Ball Z's famous Kamehameha Wave With latest chapter takes it to the next level as Koichi prepares to attack his full charged ultimate move, same pose like as Goku and the others often do using the Kamehameha. 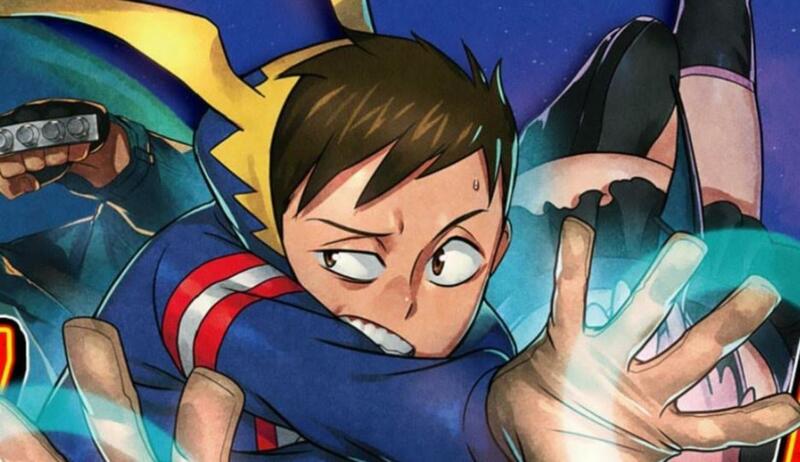 The Latest chapter where we can see Koichi try to attempt and save pro hero eraser head which had been knock back by villian wit the quirk that steadily grow stronger with using his glide quirk that allow Koichui has to shoot the little energy blasts from the palm of his hand with the ultimate move . Why Kamehameha References Just leveled Up with My Hero Academia ? When Eraser head works with to stop the villain, one of the maneuvers has Aizawa bind the villain and cover its eyes. When it's was released, Koichi is seen charging his quirk in the "Kamehameha Wave" pose that point blank range, and fully with charged that last panel of the chapter sees Koichi blast the energy from his hands. Though it's not fully leaked as of yet, which being saved for the next chapter of the series, that will be a big moment for the series. Koichi has an ultimate move, something that will greatly benefit his work as an unlicensed hero, but My Hero Academia will be that much closer to Dragon Ball Z.